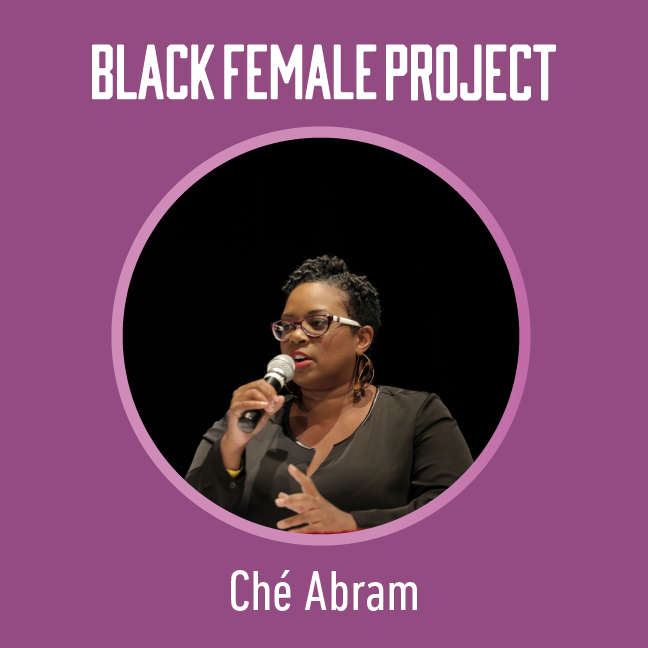 An Oakland native, Ché brings experience in higher education and community leadership to BlackFemaleProject. She considers herself a change maker as a designing and founding member of Oakland SOL Middle School, culture shifter moving diversity and inclusion initiatives forward, and servant leader by centering the needs of her partners in decision making. Her career mostly centers in higher education with beginnings in admission and recruitment. Her in depth work as a Black woman and engagement with students of color lead to her current role as Associate Director of Diversity with Samuel Merritt University. In this role she focuses on implementation of system wide diversity and inclusion initiatives, providing impactful programming addressing the social determinants of health, and retention of students of color. In her personal life she can be found organizing around educational needs in the Oakland Unified School District as a board member of Oakland Community Organizations/Faith in Action East Bay, parent voice with Californians for Justice, and can be found in numerous meetings with city, county, and state leaders gaining clarity and funding for schools. Her passion has been working closely with BlackFemaleProject because it has been a way to Pay tribute to the Black women who have guided her through every career and life choice she has made. Ché holds both her Bachelor of Science in Business Management and MBA in Management and Leadership from Holy Names University. Personally, Ché is a the mother and bonus mother to 13 year old children, thrives on stand-up comedy, and her most sacred self-care practices are reading romance novels, travel near water, and spending times with close friends and family.